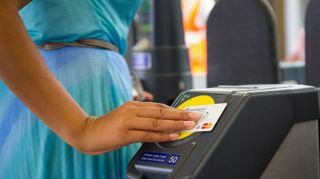 London's travellers are set to make over a billion journeys on the TfL network using contactless payments this year, new data has revealed. Figures from Paymentsense have estimated 2019 will be the first year to see contactless travel top the landmark figure in the capital as the popularity of such payments continues to rise among UK users. Paymentsense estimates that this growth is only set to continue, with 1.5 billion contactless journeys set to be made within 2025. The 2019 figure is up from 872 million in 2018, and comes alongside the decline in the use of Oyster cards as consumers look for a more seamless, one-card payment experience. Contactless was first introduced to London's transport network in September 2014 and took less than four years to overtake oyster journeys, with June 2018 the first month this occurred. “As a society, it’s clear that new payment methods will evolve as consumer demands shift towards improved security and ease of use when making a transaction," said Guy Moreve, Chief Marketing Officer at Paymentsense. "The study highlights not only what advances Brits want to see in payment technology outside of transport, but how businesses will need to adapt to these changing consumer demands. Those who embrace contactless and new payment methods such as fingerprint scanning and voice ID will surely surpass future competition."